Today was our last ever Digital Immersion Day - hard to believe that it is been a year already into our practice and the MDTA. We started down at Point England Beach, getting a few new team shots as this would be one of the last times we were together as a group. The remainder of the day was dedicated to creating a digital CV that showcases the skills that we have developed over the course of the year. I have made a start and gathered a lot of the examples of resources we have created. It was pretty cool to go back and look at some of the work I had created during the beginning of the year and assess how I have developed in my practice as well as my digital skills. Here is a look at my first start of my site - I have yet to add into some of the more aesthetics of the site which might need to wait until the holidays. Any feedback is welcome and appreciated at this stage of the process! Following on from a blog post earlier, I filmed myself teaching. This was very daunting as I did not want to "see" myself teaching but reflecting on the process, I am glad that I got the experience to do so. 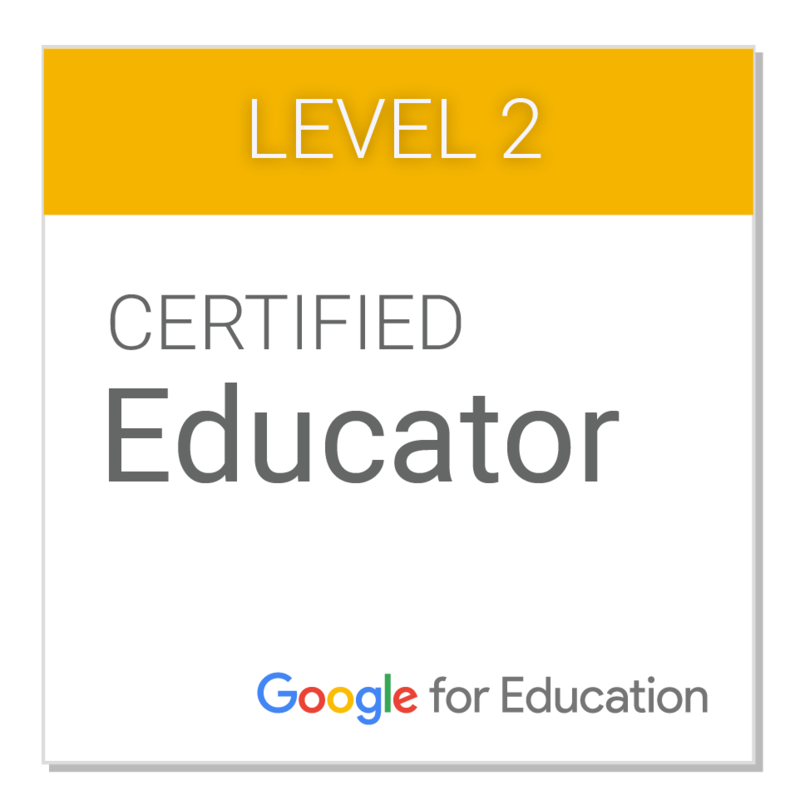 This task was a taste of what the Google Class on Air teachers do in their roles and I can see how hard they work at producing at least 20 lessons a year to share with the wider community. Click on the image below to see a weekly reading session with one of my groups. This was a project that I was hesitant to take part in as it is putting you out there. I realise that I work in an ILE and my peers see my practice everyday however to film and share your teaching online takes a lot of courage. 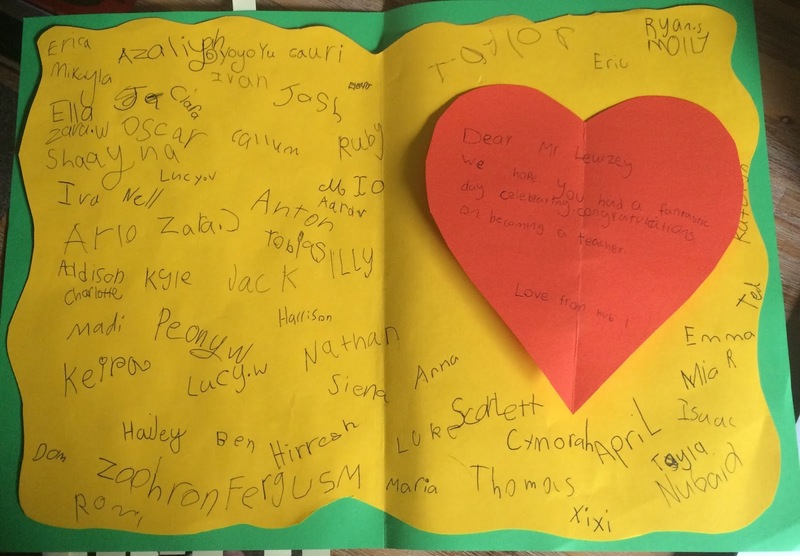 I realise from this process that I have a lot more to learn in my practice however what stood out for me was my rapport with the kids and how they were really keen to learn. They were extremely brave to agree to take part and are keen to see the finished product so we will watch towards the end of this term. I experimented with the shots and where I should position myself in relation to the camera - I was glad that I decided to sit in front of the camera with the kids as it gave me insight into how I am giving instructions and allowed me some steps to work on for the remainder of the term and next year. One thing I will try for next time is making sure I have adequate recording for both myself and the learners as I feel a lot of some learning was missed due to this not being up to standard. Look forward to any feedback you have on this lesson. Todays session was about reflecting on the year and how I have grown not only in the pedagogy of "Learn, Create, Share" but also in my own practice as a first year teacher. I chose to go back and watch my mid year reflection and felt that I was somewhat robotic and not reflective of my true self in that first video so aimed to make sure that my personality came through in this presentation. Watching through this one, I had to smile at myself at the amount of times I used the word "amazing" (still better than awesome!). I am looking forward to moving into next year - I have a great foundation year to base my practice on and feel more confident to keep exploring the pedagogy with my new cohort of learners. Today I got to share this impact story at our school's Professional Development session where all the staff got to share their Teaching as Inquiry goals and the impact that the inquiry had on our learners. 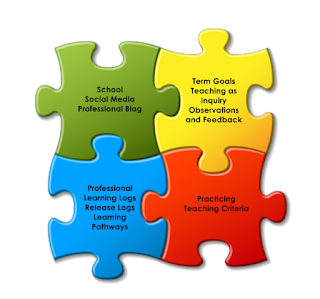 As a PRT, I do not have a teaching as inquiry goal as I am currently doing a professional goal each term so I shared my Term 3 goal where I investigated the "Learn, Create, Share" pedagogy over different learning areas. I chose to share this as a personal narrative as I had alluded to my reluctance as a writer when I was the same age as my learners and some strategies we had used throughout the year to help motivate and help learners shift in their writing. I also decided to have a bit of fun with the presentation and tried out my love for Stopmotion to help illustrate the story from a different perspective. Such an air of excitement at school today with the students looking forward to seeing not only our school's entries into the Manaiakalani Film Festival, but other schools from around our cluster. 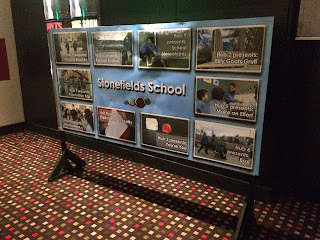 The MDTA cohort switched days to be at the Film Festival for the entire day and I was fortunate to watch both my entry and others from the cohort and Stonefields. What a fantastic array of films that were on display! This was the first time that the film that I had been creating with a group from my hub was going to be shared with others. I was extremely proud of two of my learners who had created the story from an idea that they had for our break through exhibition as they presented their film today. They spoke with such confidence and passion and their film was a hit with the audience from both the sessions it screened at. You can watch Rubbish Busters in its entirety here and if you could, please leave a comment for the group as they would love some feedback from their audience! As I am in my first year of teaching, it is a requirement for me to collect evidence so I can use towards gaining full registration as a practising teacher. 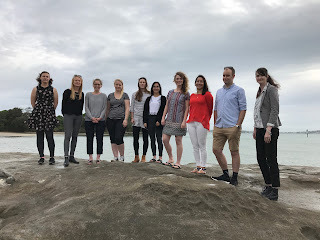 The Practising Teacher Criteria (PTC's) describe the essential knowledge and capabilities required for quality teaching in New Zealand. 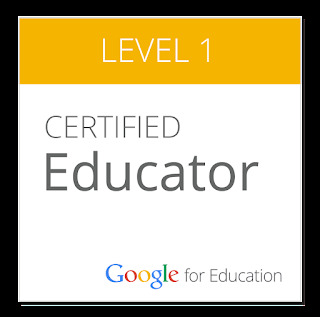 These apply to all teachers in their everyday professional practice who are seeking to be issued with a full practising certificate or renewing full certification. To aid us in this requirement, our cohort all created google sites to help us collect and manage all the resources throughout this year. I have been maintaining evidence and artefacts so far, however, I was really looking forward to this day as it was the intention for us to spend some quality time on the site. I had been putting off spending some time working on the design and layout as while the template was effective in showing us what information we were required to show evidence for, I wanted to have the site reflect me as an individual and as a teacher. I have chosen to go with the jigsaw theme in my access points as this is reflects what teaching means to me - my practice revolves around the relationships I have with my students, their families, the community and my colleagues. It also ties in nicely with the collection of artefacts and how I am piecing them together to show my practice as a whole. While I was appreciative of the time that I got to spend working on my site design, I was more grateful for the support from both Anne and my peers as we discussed our journeys this year and how the skills we have developed can be attributed to the criteria. I can now spend the time I was going to use on site design to reflect on the year and add more evidence! Today's PLG focused on the use of Keynote - this is an app which has been primarily designed as a medium for presentations however today we were allowed sandpit time to explore the possibilities for other things! 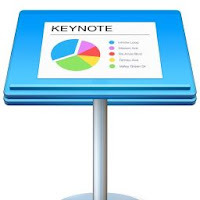 As a cohort, we discussed the use of Keynote over Google Slides or Powerpoint and it soon became evident that this app had more functionality. The fact that you could use it and not be so reliant of your sources of wifi is a saving fact within itself! Using keynote to help design logos, banners etc. Using the app to build animations which can be uploaded into both iMovie or Garageband. 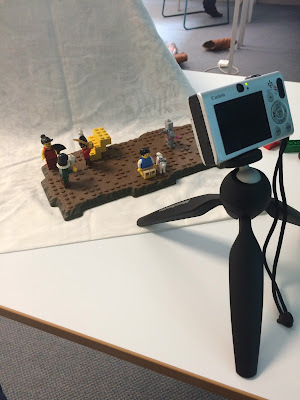 My love of stop motion was renewed as a lot of the cohort were creating some pretty impressive animations! While you can do so much within Keynote, it is always good to remember that "less is more" and while you can do all this amazing work with creating animations, you need to be aware of your audience and your message. 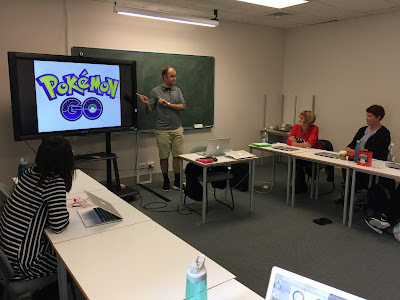 I was mesmerised throughout the day by what was happening up on the screen that I found myself observing more rather than playing so I look forward to experimenting with the app more this week as I prepare to use it to give an "ignite" presentation at our next week's PLG. Today Steph and I went and visited Ormiston Primary School - this visit had been a result of an invitation from Caroline Bush (DP) when she and the schools PRT's came and visited Stonefields. As we drove up to the school, we noticed the similarities between OPS and our school - both are in relatively new communities with OPS being open for two years now. 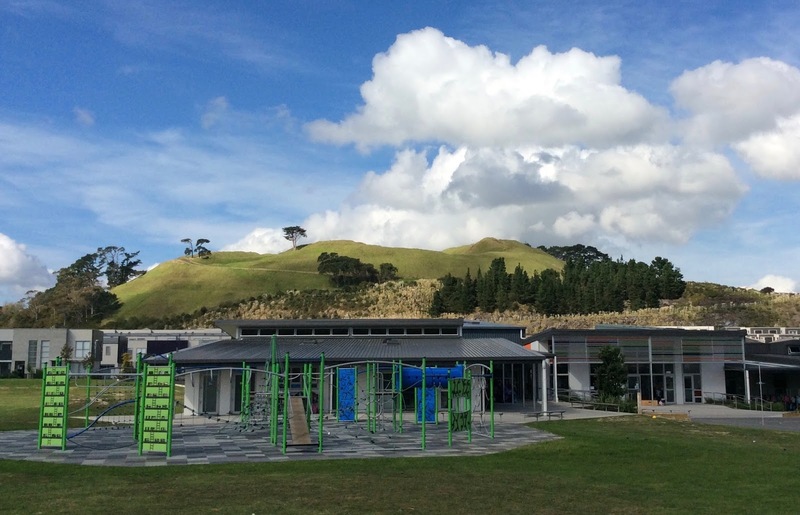 The difference between the two schools was that Stonefields was built first and the community sprung up around it whereas the community around OPS was already there and were waiting for the school to open resulting in 100 learners starting the first day the school opened and the roll now sitting around 340 learners. There is a clear succession plan for learners with Ormiston Senior High already built and Ormiston Junior High being built. As we walked into the library, we stood in the beginning of the cultural walkway which will link all three schools. All the learning spaces have the similar layout allowing learners to make clear decisions about both the type and style of learning they wish to do. It was great to see learners engaged in a variety of different learning experiences. Within the learning spaces, there is a mix of fixed and flexible furnishing. I found this mix to be responsive to the needs of both the learners and the teachers. Another interesting element is that the entire school operate on the same timetable. 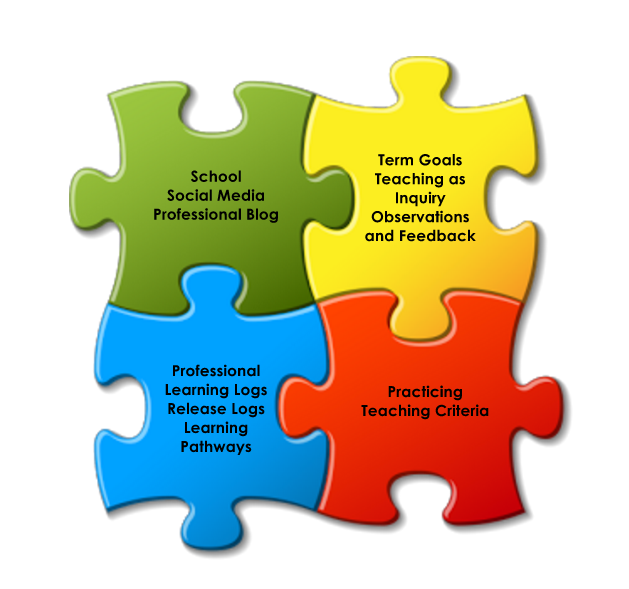 There is the flexibility within these blocks to integrate all parts of the curriculum into the design of learning. The school also has a KDEC (Kelston Deaf Education Centre) unit attached to it and a lot of the learnings from here are evident in the other learning spaces like teachers switching the lights off to gain all learners attention and the environments being conscious of visual disturbances in them. It was a very insightful day for me, especially with how I use the learning environment. We have been invited to go back and connect with the school's PRTs to share learnings about operating in an ILE and I can see this would be very beneficial for my practice. In lieu of a PLG session today, I did some reflection on a busy week. 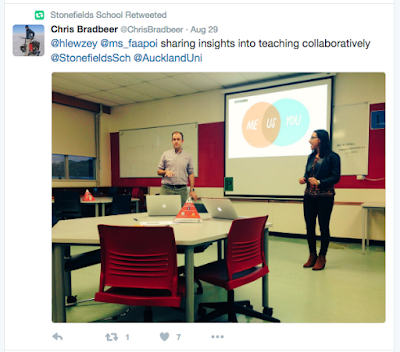 On Tuesday, Latai and I presented at a session at the University of Auckland run by the team of 23teaching that focused on the shift to Innovative Learning Environments (ILE's). We spoke about the power of collaboration and co-teaching in an ILE space and it was fitting that we co-presented this! We spoke about the importance of knowing both yourself and your practice so you can be confident to communicate effectively with your colleagues and you have the self-awareness of how your behaviour may be perceived and the impact on your learners. A great insight that we came up with was that we are the role models for our learners for the skills of collaboration so how can we ensure that we are being consistent with our behaviours. On Thursday, we repeated our team effort and ran a toolkit on the use of Stop Motion Animation. A toolkit is a workshop that teachers in our schools can run to help build our knowledge and capacity in the various tools we use in our learning spaces. We chose to run this workshop as we thought it may help empower some teachers with the confidence to use these techniques for the upcoming Manaiakalani Film Festival. Really cool to have the support of some of our hub mates who came along for the session! Add to this week both our school cross country yesterday and me attempting to get all my raw footage for my entry in the film festival today and I may have been dead on my feet by 3pm. However the power of the collective really got me through this week and it is great to have a critical friend at school who is willing to not only lend a hand, but also critique and offer alternative suggestions. Both sessions to have present to colleagues and the public would have been daunting enough but knowing you have someone that has your back really helped boost the confidence and allowed me to take risks. I will look forward to giving you an update in the later weeks on how my film festival entry is going! Yesterday we were fortunate to attend the fifth annual Manaiakalani Hui which was a great opportunity to connect with colleagues and other members of our cluster. It was a jam packed agenda so I attempted to both sketchnote and tweet over the day to see if that helped me synthesise the information. The first item on the agenda was a presentation from our Manaiakalani Ambassadors which are student representatives from our schools who presented an element of their learning from the year so far. Their deft knowledge of the "learn/create/share" pedagogy and the pride and confidence in which they presented was admirable and something that I would like to strive towards creating with the learners I teach. The part that I found the most interesting was the presentations from the Spark MIT Innovative Teachers - these are colleagues within the cluster who shared their current enquiries with us. A lot of these revolved around both motivation and literacy - both topics that I am currently investigating for potential focuses for next year's dissertation. Again I found these presenters incredibly proud of the learning they are creating - this opportunity is available for me in my third year of teaching so something to investigate over the next year as an option for 2018! Russell Burt presented the group wth an interesting notion that there are 47,000 plus jobs in the technology sectors which we need to be preparing our learners with the skills to work in such positions. By keeping the open lens on how we can expose learners to opportunities in which they learn these skills is paramount - a very scary but also exciting challenge for the years ahead! We were fortunate to have Rebecca, Aaron and Stuart from the Woolf Fisher Research Centre come present to us - some analogies and acronyms have stuck with me like "Students who can do harder things with harder tests at an earlier age" and L.I.F.T (Learning Ideas From Text). Again I am excited and inspired about how to bring more critical literacy skills into my practice and am grateful for the support and the information that is provided to our cluster on a regular basis. After lunch, it was great to learn more about the outreach programmes especially after having made connections from today. How can we use these networks to share resources and ideas freely to better support our learners in the drive to learn today's skills for tomorrow's jobs? We were also challenged by both Russell and Pat Sneddon to keep reassessing the status quo and using the skills we have from moving from below to at and transfer these over to the movement of learners from at to above. This diagram from James Hopkin's presentation resonated with me. In my response to James after his presentation to this morning, I called myself #currentlyincuriousity as a reflection of my status of a Twitter user. I follow people, I read posts, however, I have not found the courage to engage with others in this forum. Discussing it with the members of the MDTA cohort, I put it down to where I am in my teaching career and how I feel that I do not have a voice yet to engage with others. Upon reflection, this feeling does not sit right with my teaching philosophy where I value the power of conversation. 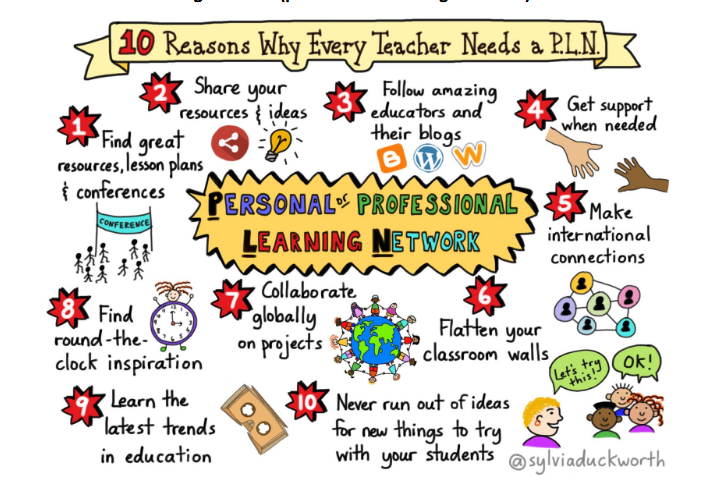 Twitter is a powerful connector and I need to start engaging with others to develop my own Professional Learning Network (PLN). Why is it important to have a PLN? This infographic from Sylvia Duckworth gives some strong context. To help build all our confidence in how to connect and discuss with others, Dorothy and Anne set up a provocation where we were answering a series of questions and using the hashtag #MDTAchat. We were able to gain the technical expertise of responding to others from this exercise. While doing this, I found myself in the "zone" - I was reading, responding and formulating ideas at a quick pace and it gave me the insight into the personal philosophies of my cohort. I was able to see the connections that others made as well as challenge both others and my own thinking. I found my Twitter voice! So what next? You tell me, I want to talk! 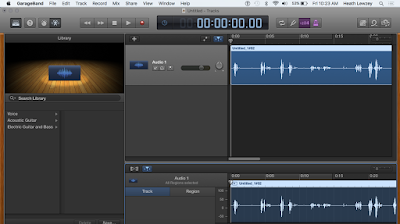 I was quite apprehensive about this week's PLG as it focused on the cohort learning to use Garageband in preparation for creating a film to share at the Manaiakalani Film Festival later this year. 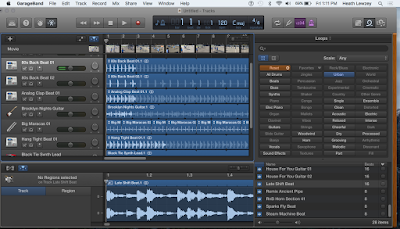 Garageband is a whole music creation studio, which also has a complete sound library including software instruments, presents for guitar and voice as well as virtual session drummers. A lot of teachers in the cluster already use this software to enhance audio elements in recordings or more simply for recording instructions for rewindable learning for learners. We were fortunate enough to have Rob Wiseman from Pt England School come and spend the day with us to help build our confidence with using the software. The reason for my initial apprehension was that most people who I spoke to are quite adept in the use of the app and when I had a look through it, it was a bit daunting. Luckily Rob was able to scaffold us into using it with the design of a few tasks. Our first task was to record ourselves reading a school reader and making it as clear as possible. I found that the use of it was very similar to that of iMovie where you could cut out parts where there was additional sound (ie, page turns, doors shutting) and clean up your raw footage before saving it for use. Here is the recording with an image of the book to see how my first attempt went! You can see how audio can add atmosphere or another layer to a film so the last part of our day was spent discussing how it is important to prepare for filming and plan out all elements of your filming. 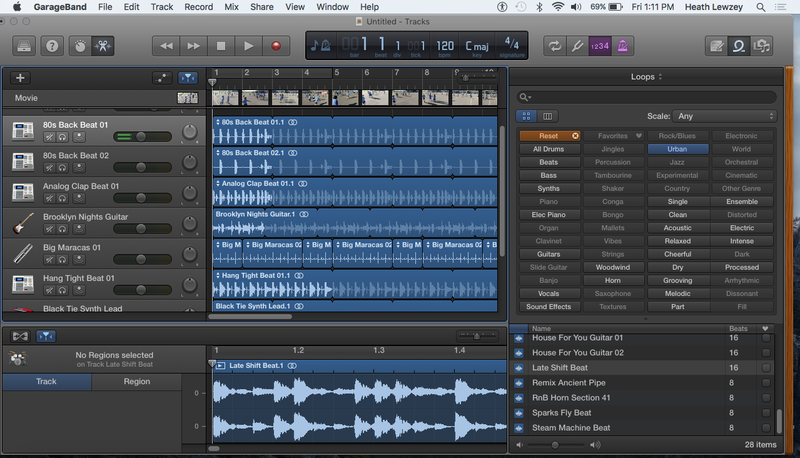 - I am now a Garageband convert and am keen to try these new skills! - As mentioned above, I really can see the benefits for rewindable learning. 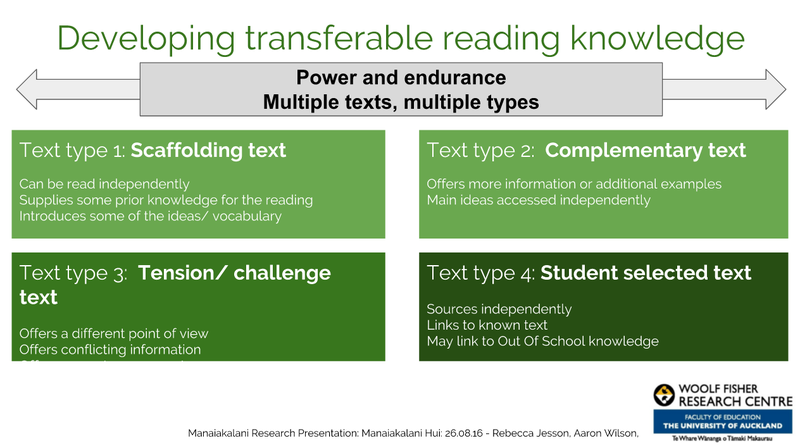 This can help learners who may struggle with reading instructions or allow them a choice on how to receive instruction. - It could add another element to my literacy program where we can work on using reading with expression or add personalities to various characters within texts by experimenting with how we imagine they would sound or speak. Look forward to showing some more recording skills later this year! If you want any further tips, Ashley wrote a great blog post about it! 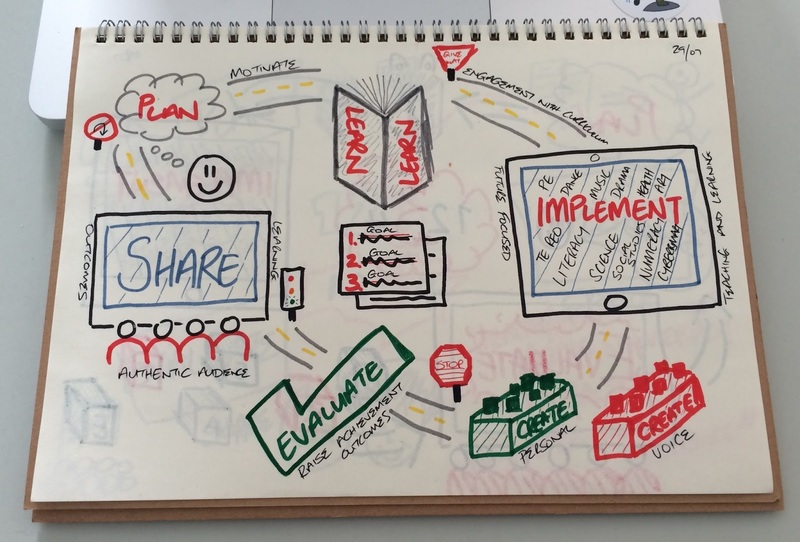 Today we joined the cluster's Digital Immersion PLG which was focusing on the "Share" element of our pedagogy. After spending the morning discussing how the element impacts on both our practice and our learners, we were tasked with creating an infographic which linked to our audiences of either our professional or class blog. "Show, don't tell. The average human attention span is 8 seconds and our brains process images 60,000 times faster than text. Infographics make it easier to grab your viewer before the next distraction does." "People learn to love by examining visual representations of data." I decided to build an infographic about the statistics for our hub blog to use as a discussion piece with the learners. Enjoy! 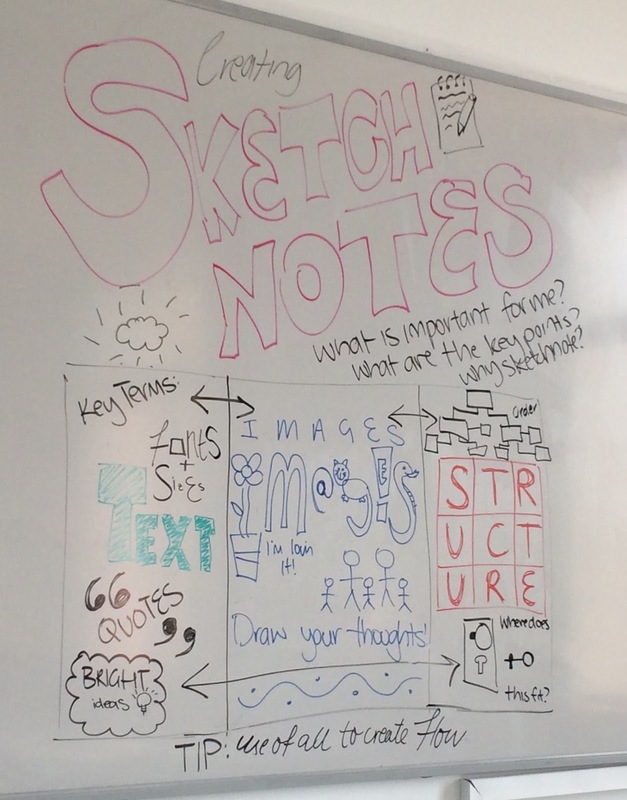 Today's PLG had us looking at sketchnoting. For anyone like myself who is hearing this term for the first time, sketchnoting is a process when you create a personal visual story as you either listen to a speaker or read a text. There are a number of apps that can help you with this process such as flipink (free), Paper by 53 (free) or if you feel like an expert, you can try Procreate ($8.99 for the purchase of the app). The cohort spent time looking into this after Dorothy shared her own experience with the process. 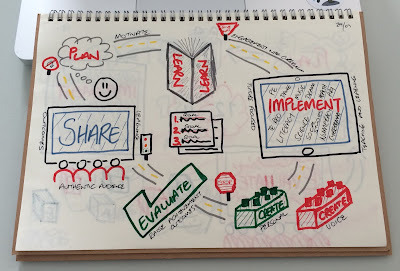 The implications for using this process in the design of learning are many - to begin with, this may be a great strategy for learners who process information visually to make meaning of the learning they are engaging with. 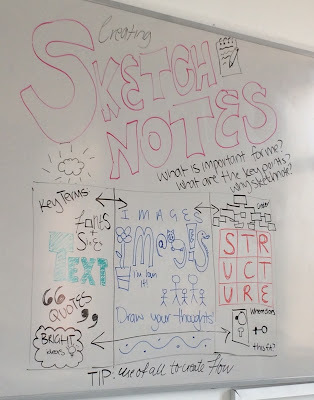 Sketchnoting also has a great connection with literacy and how learners can use visualising strategies to help them build confidence in that skill. As always, the cohort were charged with giving sketchnoting a go with a lot of us downloading the apps and quickly getting into the process. I have kept it old school with drawing it in a notebook but I will see if I can replicate some of my learning over onto one of the apps. I chose to articulate my current professional goal for Term 3 so would be keen to see if people who follow this blog are able to decipher this - please feel free to comment below! I am the first who would not call myself an artist so am keen to try this process further to help build my confidence in my art skills and I feel that it will help me with my university readings. For those who are keen to try this out, I feel Georgia has summed it up perfectly with her sketchnote below! Today we were given the opportunity to look back at our first six months and reflect on the time. The task was to look at where had I come from, where am I currently sitting and where am I looking ahead for the remainder of the year. I was very aware of my pedagogical content knowledge (or self-perceived lack of) and was conscious to ask questions whenever possible. 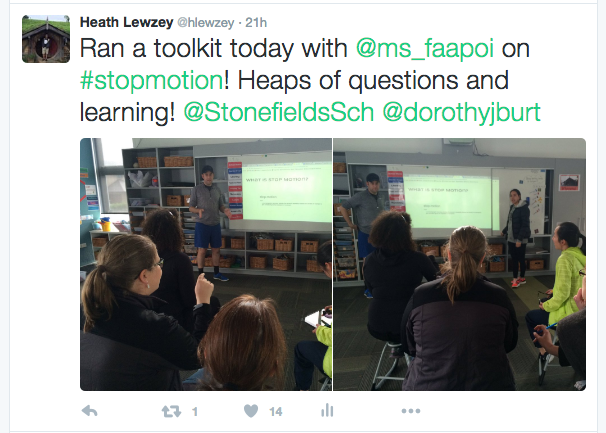 I had little exposure to a MLE/ILE - I spent some time in Term 4 observing at Stonefields but still did not understand the principles of how the hub actually worked. What worked in my favour was that I did understand the principles of collaboration (from work experience) and felt confident enough to discuss and adopt into my teaching practice. The use of the technology - I was amazed by how adept the learners were with their progressions and how they used the tools to support their learning - a lot of my questions were about how we as teachers were able to create and nurture this awareness. An assumption that teaching is more on the learning in a high decile school rather than behaviour management. I am reminding myself that this is my first year and that the management of my energy is key to maintaining elements such as passion and resilience in my teaching practice. I am consistently being mindful of this. 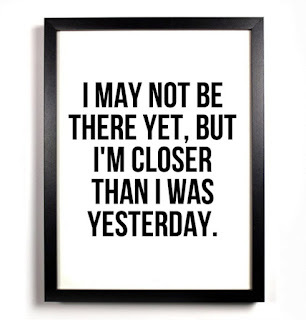 I need to stop myself sometimes and reassess - I am my own worst critic so I was saying things like “I don’t feel that I have done much” however when I stopped to take stock - I have actually achieved a lot. Another thing that I have stopped doing is comparing my experience to that of other beginning teachers. The jumps I have made with both the use of the school systems and learning process has really helped me to develop strong relationships with both my learners and colleagues and I feel more confident coming into the back half of the year to take risks with the design of learning. I have developed a strong relationship with my mentor teacher especially with the team teaching now and feel more confident discussing my practice with her as she can see it in action more when we are teaching. We were asked to share a highlight of the term with our cohort - for me, I shared a couple of different areas which I had worked hard on developing. 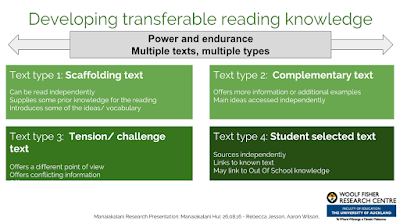 The work I am doing with my top reading group in evaluating texts with the use of Google Forms is really helping me map progress and shift in their critical thinking skills and giving more insight into other aspects of their literacy abilities. 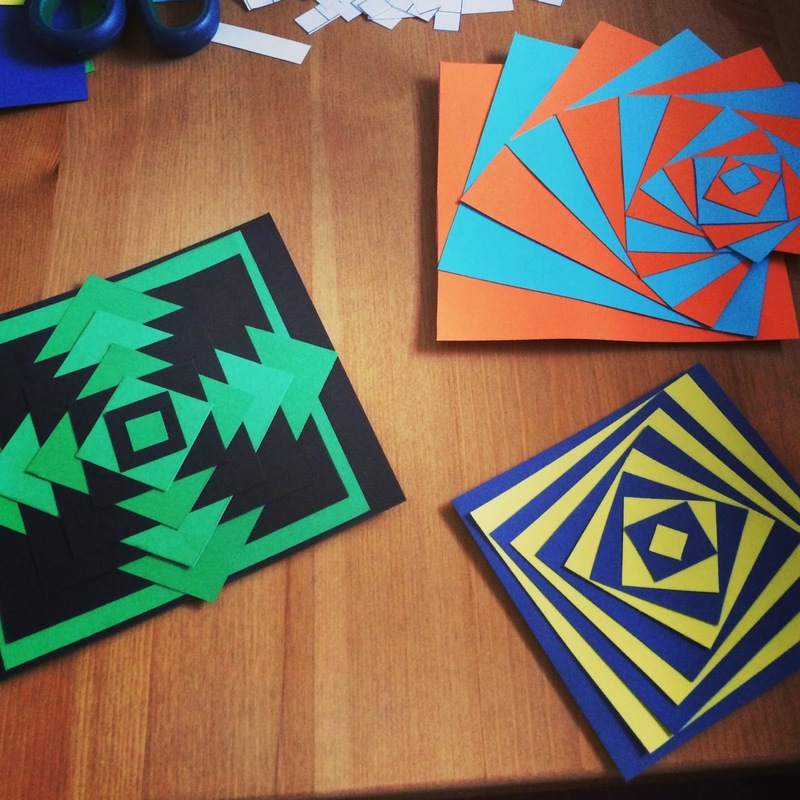 I also shared some of my own creative aspects in teaching numeracy through art. What are the next steps for me? Energy management - it is going to be a busy term with everything so making sure I am looking after myself first. To get out into the other parts of the school to observe - majority of my observations have been in our cross hub team. Continue to work on the consistent firm but fair mantra - the kids have such keen senses of justice and this often can be the tipping point in relationships. There are relationships with some families that need to be built up for the last half of the year - again the constant and consistent messaging needs to be applied here. Dial up the active reflection while in practice - I am doing this however not documenting as much and am conscious that this are key nuggets that I need to take into my future practice. Is there a way I can adopt some of the digital affordances in my own practice? Continue to challenge and find the “why” in everything I design and engage with my learners. Year 1s - seeing the level of ability our learners are coming from and how the design of learning is set at that level. Year 4s - we wanted to see how the design of learning was set at this level and how we can prepare our Year 3 learners for the transition. We were greeted by one of the most impressive assemblies that I have attended - the air of celebration was present as we watched learners get their sport awards. We also saw a new house captain being elected which was announced with such mana! Shortly after, we went into two Year 1 classes - these learners are adept in using Explain Everything (the app that we use in our hub) and were very keen to show us their learning. The learners that I spent time with showed me how they use the sound bytes which their teachers record with their explanations or instructions to assist them. After morning tea, we moved into the pavilion where we visited a Year 4 learning space - this was two classes that were merged into one with two teachers. 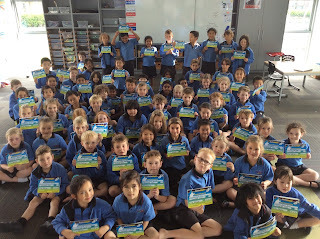 The learners were working through a list of activities from the week in the block called "Finishing Friday" - I helped some learners with an activity that they were working through with geometry and I got a fair few "presents" with them all keen to show me their proficiency with symmetry. I got this awesome example from a learner who understood the concept and explained it to me very efficiently. 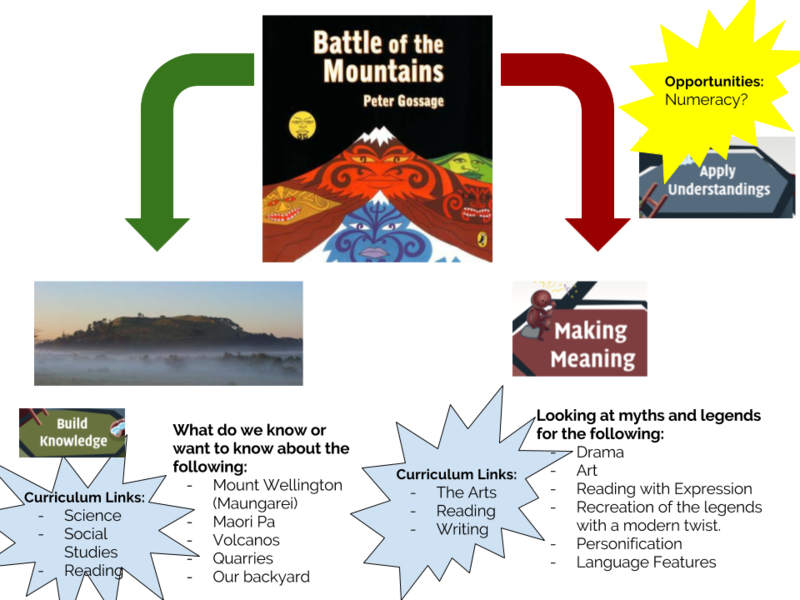 How can I use digital affordances (such as the sound bytes in Explain Everything) to allow my learners more opportunities for rewindable learning? 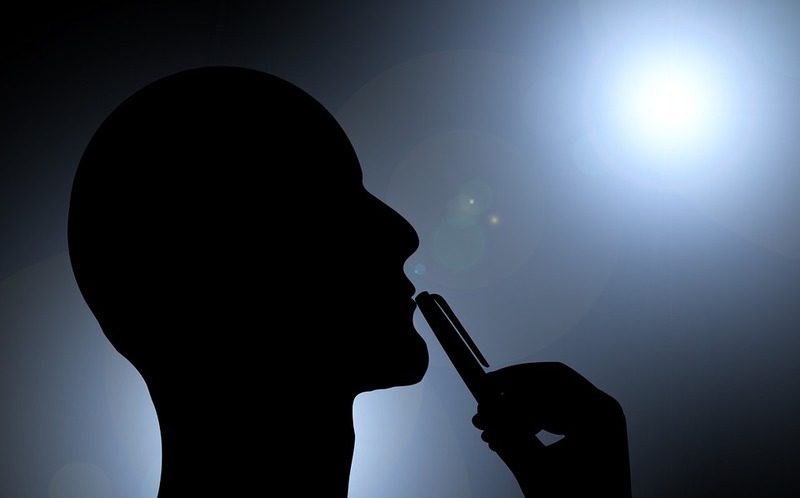 Am I generating enough choice for my learners in regard to their learning? How can we incorporate more opportunities to celebrate our successes in our learning? I was blown away by the attitude of the learners at their assembly! Such a humbling experience being welcomed into other schools in our area - I am grateful to part of a community of learning! Thank you to all the teachers that let us come into their spaces and observe! Today we had the goal of finishing our interview video that outlines our first six months in the MDTA programme. I was amazed that a lot of the skills I had learned previously in regards to iMovie stayed with me and I was able to able to get this version of the video finished. Upon watching it back, I started to notice things that I had missed and began to critique the video. We shared our videos with each other to get some feedback and I was ready to restart the project. It was not until I was driving home that I realised that like my learners, I needed to give projects a go and be determined to learn from this process so I have made the decision to show the first cut of the video here. The Power of Preparation - I do not feel the quality of my speaking reflects my passion for my position (I blame part of this to doing this at 11pm at night) so will do an updated version towards the end of the term. I tried to go off a script and this is why at times the speech does not sound very nature. Video as a form of Reflection - It can be daunting recording yourself however I do see the benefit of using this as a form of reflection. I can only get better with practice. My Passion for Collaboration - This was the first thing I started to note down when brainstorming and it got me thinking about one of my placements last year where I was able to collaborate with two of my fellow student teachers on the design and of execution of a joint weekly block. I really enjoyed the sharing of ideas and how we used our different perspectives to design outcomes suitable not only for our different teaching practices but the needs of our learners. Like I mention in the video, I am fortunate that in my current role, I get to do this on a daily basis and I am really enjoying the dialogues and outcomes our team are creating on a daily basis. I need to update my camera or stick to one filming device - It was not until I uploaded the video onto Youtube and played it that I realised that I could see the difference between footage that I shot on my camera to the footage that I shot on either my phone or iPad. Consistency is key with filming especially as I do not want the quality of the film to detract from the message from the video. I hope you enjoy this video and I would love to hear any thoughts or feedback on it if you have the time! 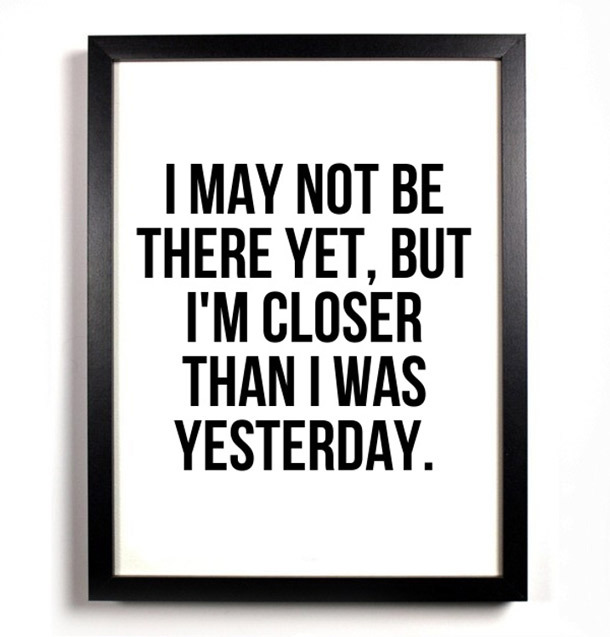 Our next task is to create an interview with ourselves on our MDTA journey so far. 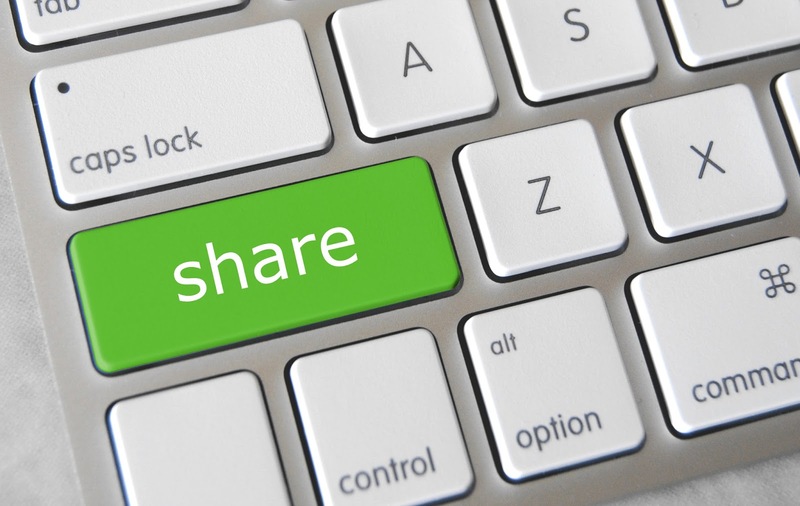 We have been given some prompts to help create a video which can be shared with others. The first MDTA cohort did their own videos and we were shown these as a guide on how to structure our own. I decided to head down to school to get some video of the school itself as I did not have much footage of that so far and it was a great day outside. I even went up Mount Wellington to get some footage and this step of the process really helped me jumpstart the thinking behind how I wanted to create this video. Getting out of the lecture room really helped put into perspective why I chose to go into teaching and why I chose to take part in the MDTA so I went back to university all keen to begin to storyboard and plan out the rest of the video. The day was full of some insightful dialogue with everyone but I wanted to especially thank Latai, Danni and Clarelle as our conversations helped me better articulate what I was thinking and what the next steps are going to look like. I now have the next week to map out the rest of my video, take any remainder footage and edit and prepare the video to share with the rest of the MDTA cohort next week. It is going to be a very busy week! With mid year reporting approaching, I have spent a lot of time with my learners one-to-one with testing in order to gather evidence to make mid year judgements. This has been a great learning opportunity for myself with me having to learn and incorporate the forms of literacy and numeracy testing methods into my practice. A learner beaming with a huge smile as they can understand and utilise a specific strategy for adding two double digit numbers - something that they did not feel comfortable with at the beginning of the year. A learner seeing the output of their determination to become a more confident reader and rushing out the door at home time to tell their parents that they have moved two reading levels. A learner who told me at the beginning of the year that "they hated planning" but can now have conversations with other children about the importance of planning in their writing process. The past few weeks I have learned a lot about my capability as a teacher however I think it has given me far more insight into my learners and how to plan for the remainder of the year. Some of the conversations I have had with them while testing has opened up different ways of thinking for how to design this learning and with the skills I am building each week, I am now looking for ways in which to support them to their next goal and/or challenge. I found out a new word today - glossophobia. This is the fear of public speaking and quite relevant for today's post. For our PLG today, we were introduced to screen casting via Quicktime Player and given the task to use the tool to share an element of our learning. Screen casting is a great way to demonstrate to learners the steps required for learning as you can walk and talk them through the process. Storyboarding is key to screen casting success I discovered as I found myself tripping over my words and I had to do several takes. It was also here where I started to analyse (more OVERanalyse) my words and became very self-conscious of how I was using the tool. I spent about two hours practicing with the tool to get the "perfect" shot and then came to the realisation that I needed to include authenticity in this presentation. 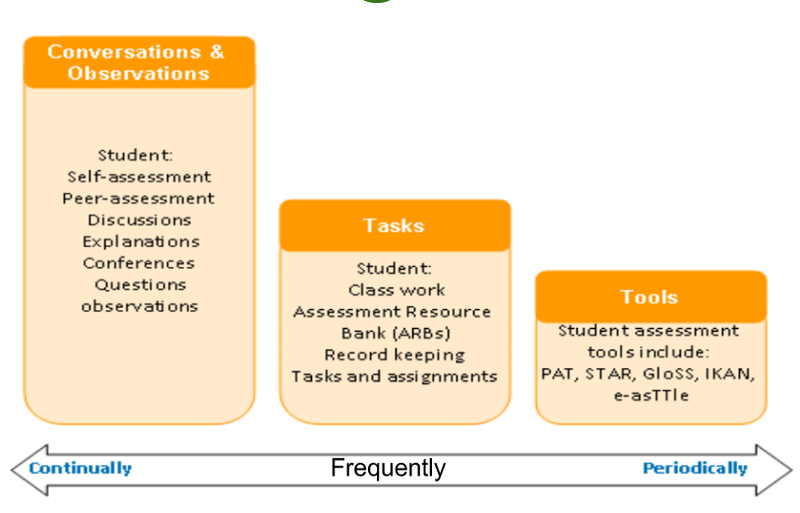 I feel my learners would make a stronger connection with this tool if I could show them how I struggled with elements of the task and how I was able to overcome it. An obstacle I had to overcome was finding a space that was quiet enough for me to record - here is where I ended up! Having done this exercise, this made me reflect on how well the teachers in the Google on Air programme are using tools like screen casting to demonstrate their practice! This made me reflect on not only my practice but the way in which I am communicating and how I can make improvements. While I do have a slight fear of public speaking, I know that I can using tools like screen casting as a way to reflect and improve. 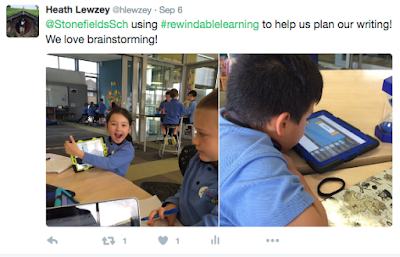 Screen casting is a fantastic tool to activate rewindable learning with learners. They can use these resources as references or prompts to help support their learning and will empower them to stretch themselves further. I already have plans to use screen casting with some elements of my teaching in the couple of weeks so look forward to practice these skills more! 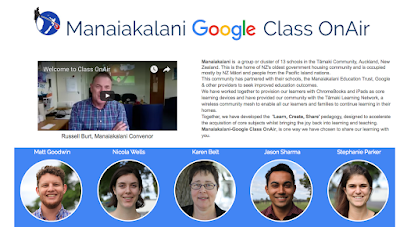 Today we were fortunate to have Matt Goodwin come along to share what he and four other teachers have been achieving through the Manaiakalani Google Class on Air. This initiative is where these teachers are recording their lessons while they teach and making not only snippets of the video available online but the lesson plans and reflections. 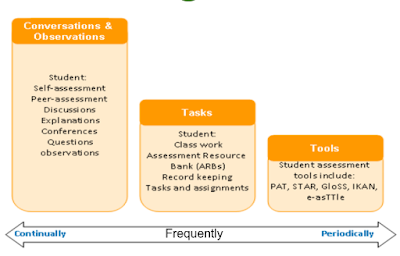 You also get access to select learners blogs and work to see how the learning is transferred and absorbed. 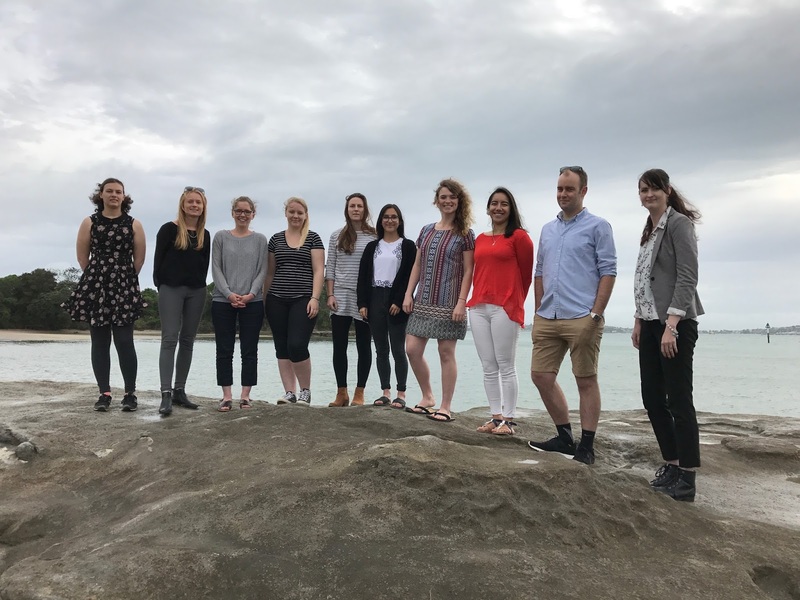 The great thing to see is that four of these teachers are graduates of the first MDTA cohort and have really taken the share part of our pedagogy to the next level. I applaud these guys for being so confident to put themselves out there as I still find it daunting being observed, however, this will be an assignment task that myself and the MDTA cohort will be undertaking later this year. In preparation for this, Matt showed the tools of the trade and the process he undertakes when preparing and filming these lessons. 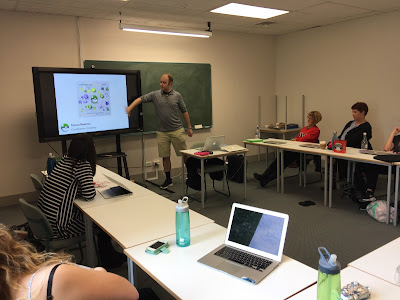 Each teacher has been tasked with recording 20 lessons in a school year and Matt showed us how he used the recording function of Google Hangouts to achieve this. A cool and efficient aspect of the record function is that it can upload directly to Youtube and then you can use the Youtube Editor to make adjustments. I can see this tool being used for rewindable learning however I would need to ensure that I am comfortable with the tools firsthand before bringing them into the learning space. We got a chance to experiment with Google Hangouts later that day and it is quite an adjustment to recording yourself and then editing it in iMovies however I can see the benefit of being upload to Youtube instantly and being able to use that footage while learning. Once again, I count myself fortunate working in a learning community who are willing to put themselves out there and I look forward to having some of the tenacity transferred to me as I grow more confident in this space - bring on Heath's Class on Air! "Stop motion is an animation technique that physically manipulates an object so that it appears to move on its own. The object is moved in small increments between individually photographed frames, creating the illusion of movement when the series of frames is played as a continuous sequence." We were tasked with creating a movie for a concept that would be beneficial for our learners so I chose to create something to help discuss the importance of collaboration when stuck with something in regards to their learning. 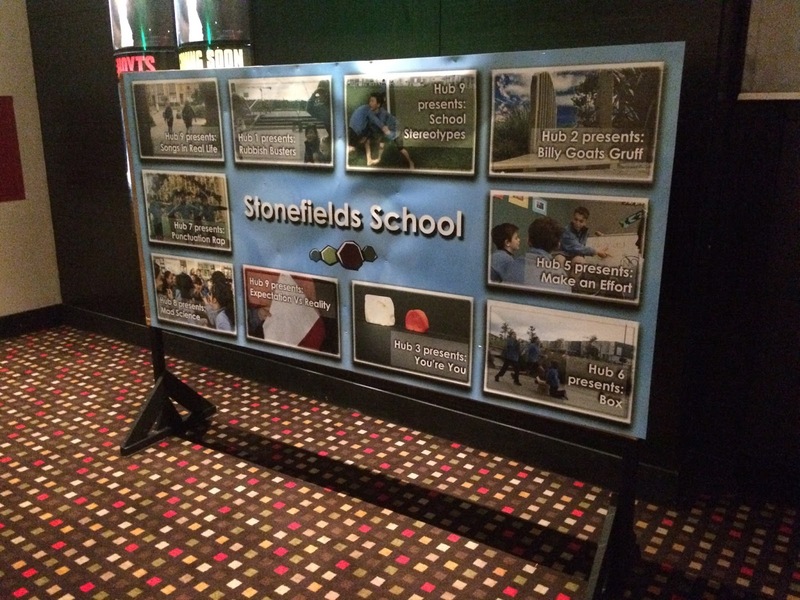 At Stonefields School, we are encouraged to celebrate being in the "learning pit" so used this as imagery for part of the film. This was a great "create" task today and I got to relive some of my childhood and play with Lego for the majority of the day! A lot of my learners already demonstrate the skill to create animations so I was grateful for the opportunity to have some time to explore this. It speaks to the pedagogy of our cluster so it was empowering to develop these skills further in preparation for both designing future learning and getting in preparation for the upcoming Manaiakalani Film Festival. I would spend more time storyboarding, including the design element at the end with my editing - I am not 100% happy with the colour schemes and messages. I would pay attention to shots - I had to spend a bit of time trying to cut out my thumb in some frames. Today we got to spend more time learning about iMovie. Last week the cohort were set with a task to gather raw footage in relation to learning with the goal to create a video from today's session. I can not wait to use this tool for the design of future learning! It was back into Friday PLG's for Term Two today and we were fortunate enough to join other teachers in the cluster for a digital immersion day at Panmure Bridge Primary School. The focus around this day was building our understanding of the create element of our pedagogy in order to help develop this skill for our learners with their learning. "How often are you including opportunities for learners to CREATE to learn?" 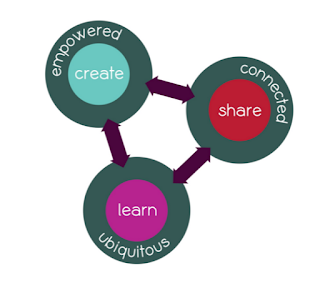 "Where and how could you include increased opportunities to CREATE to learn?" For me, I want to learn more about what my learners think about what it means to them to create something and how they could learn from this. I feel getting this insight first would really help we as a hub team think about our design of learning and how we could look to promote this more within our planning. The remainder of the day was spent on learning to create an explainer video around our inquiries. Please note, I am a complete rookie to movie making so the below is a great benchmark for me to explore this area of learning more and it is very timely that we are having a iMovie 101 session next week! I need to lift my game from stick figures! I should look into building my recording skills - both presenting and the audio management! Apart from that, I am stoked to have given this a go and am looking forward to building my skills! Great connections with how my learners may feel at times when they are challenged in their learnings. Bring on next week! Today I graduated and it was great to stop and reflect about the whole experience as well as celebrate the milestone itself! I have not yet told my story about how I came to change careers to come back into teaching - I often forget that I taught English for three years and it was that experience which sparked the passion to make the decision to become a teacher again. I enjoyed this graduation more than my previous one as I felt more connected with my cohort and it was awesome to see members of both my school and MDTA community graduate at the same ceremony. I was fortunate enough to share the occasion with both my colleagues and my learners - I received a cake from the staff congratulating me on the achievement but what was more humbling was to have the recognition noticed by my learners who decided to make me a card and share it with me. Very cool Hub One, you guys rock! This gesture made me think about how I have built relationships with my learners and it made me think about how these words from Rita Pierson resonate within my personal teaching practice. Term 2 - Looking Ahead! "Change is inevitable, progress is optional" - Tony Robbins. Team-Teaching: my mentor and I have decided to move into a teaching partnership where we will be responsible for the design of learning and implementation together. We are both very motivated by this change and are willing to give the unknown a go to see what we can make of it. Term 2 Goal: I am looking to build my confidence in teaching numeracy in order to pass that confidence onto my learners. One thing I noticed last term was that I was quite hesitant when teaching numeracy and I was not able to get into the learning pit with my learners as often as I wanted to. Hopefully by concentrating and pushing myself to enjoy maths more, it will have the flow on effect. Being comfortable, being uncomfortable: I laughed to myself when I heard my principal say this for the first time as this was something one of my previous leaders would say to me numerous times that I needed to find comfort in being uncomfortable. I tend to be very task orientated and this can often be perceived as being rigid and inflexible. What I am learning about my current teaching role is that collaboration does need to be fluid and this lends itself to having more of a growth mindset. I have seen this video being presented a couple of times now and think it sums up how I should be approaching next term. One term down - this week at our PRT meeting, we were congratulated on surviving an eleven week term as it is somewhat of a rarity. The time has gone fast however I must make an effort to stop and reflect before moving onto Term 2. This has been a fantastic start to my teaching career - I am in a position where I am very fortunate to have so much support and guidance from both my school and the MDTA cohort. I will continue to develop these relationships as I move forward as I am learning more about the power of collaboration. I have started to make some great connections with both my learners and their families and this is another set of relationships that I intend to continue to build as I move into Term 2. I have made an effort to continue to challenge myself in my role as a teacher - it has been a daunting time over the last 11 weeks however I feel that I must continue to have an open mindset about every opportunity that I am presented with and how I can develop myself as a learner. The amount of things I have learned so far has been incredible and I need to remind myself to stop and take stock of how and when I can utilise this newfound knowledge. Term 2 is approaching so read here to see what is on the horizon - I am pretty excited! I am a reluctant writer. 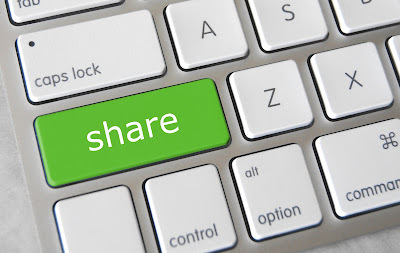 I shudder when I hear "sharing's caring", mainly because out of ignorance as I have not really thought about the meaning by the saying. 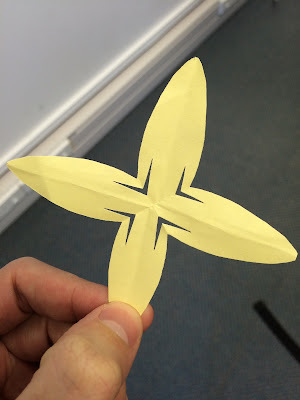 Manaiakalani's pedagogy is centred on learn, create and share and as I near the end of my first term of teaching, it is only now where I am starting to really see the links with how I am designing learning for my learners and why we share our learning. With my literacy groups, I am really hitting a wall when we discuss our audience for our writing. They have a love of writing but this is very intrinsic and focused on their sphere of influence. In other words, they love to free write for themselves, but the reluctance comes when we discuss sharing our work with others. I have only begun to scratch the surface with the reasons why this exists and it will be a focus for me as I move into the next term and working with them. Upon reflection, I find that I am suffering from similar issues as the learners. I do enjoy writing and have written as a hobby for a number of years now, however, there would be only a handful of people that know this as I do not share my writing with others. My own reluctance comes from the fear of being seen as a "poor" writer and the feedback that I would receive. Add this to this that I am now seeing real shift in my own practice by being more open and authentic with both my colleagues and learners. How can I continue this trajectory moving into next term?